Please call owner William at 203-929-6136 or 203-667-4276. Engines and transom plates less than 2 years old. Well maintained boat with new carpeting. Cover hardware and canvas included. 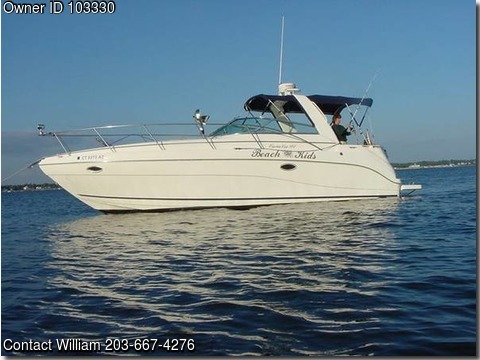 Full galley, enclosed head Shower, air conditioning, full camper enclosure, radar arch, radar, GPS, anchor windlass. Will consider including rubber boat.